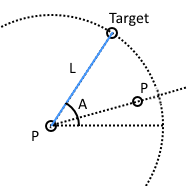 """Point on circle by angle.""" 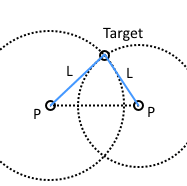 """Two intersection points of two circles.""" #No solutions, the circles are separate. #No solutions because one circle is contained within the other. #Circles are coincident and there are an infinite number of solutions. 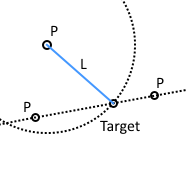 """Two intersection points of a line and a circle.""" #Test distance between point A and intersection.